Experience Best Web & Mobile Development With Us! Hyperlink Infosystem is one of the leading mobile app development companies engaged in native mobile app development since long. The company holds 6+ years of experience in the web and mobile solution for multiple domains like logistic, healthcare, education, on-demand and much more. 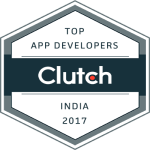 Our development team is highly expert and capable enough to develop localized app that serves the audience of multiple regions. So, if you are looking for best mobile app development company in Austria, we are here to help you. Hire best native app developers from Hyperlink Infosystem and experience robust app development with us. Android is one of the remarkable platforms that created a great impact in the market. More than 2 billion applications are deployed in the app store among which only selected applications can maintain its existence in users smartphone. App developers at Hyperlink Infosystem ensure a successful android app development that is widely cherished by clients for responsive design, creative ideas, and unique innovations. Our enthusiasm to develop unique apps has inspired us to build ultimate apps. Our development team strives hard to leverage your specific business requirements, irrespective of app complexity. Get in touch with us for best Android app development. iPhone is one of the leading platform highly chased by app developers. App developers at Hyperlink Infosystem are engaged right from design till deployment. The applications launched by our app developers are highly robust, scalable and intuitive. We have vast experience in the development of top notch iOS apps and have served 500+ clients across the globe. Our extensive portfolio includes both business and enterprise app in various domains like real estate, education, lifestyle and much more. Whether it's Unity game app or iBeacons, we excel in leveraging best iPhone apps in given timeline. No matter what type of app you are looking for, we can deliver it at the best affordable rates. Why Choose Hyperlink Infosystem As Your Technology Partner? Hyperlink Infosystem is known for best native app development and technology consultant across the world. 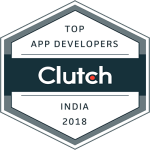 As we specialize in the development of rich-quality mobile applications, our skilled developers are well versed with all the feature stack of Android and iOS app that helps them to make standout development within given timeline. Due to years of industrial experience and expertise in development, we are capable of providing high-quality and agile app solution to clients. Contact us now and make us your development partner.